The gem world has long believed that garnets occur in every color of the spectrum, except for blue. But we had to abandon that belief when blue color-change garnets were first discovered in the Bekily district in southern Madagascar in 1998. These unusual garnets are actually a teal blue or greenish-blue under daylight or fluorescent light, changing to reddish-purple under incandescent light. The color change is quite pronounced and these rare garnets have become sought after by collectors. 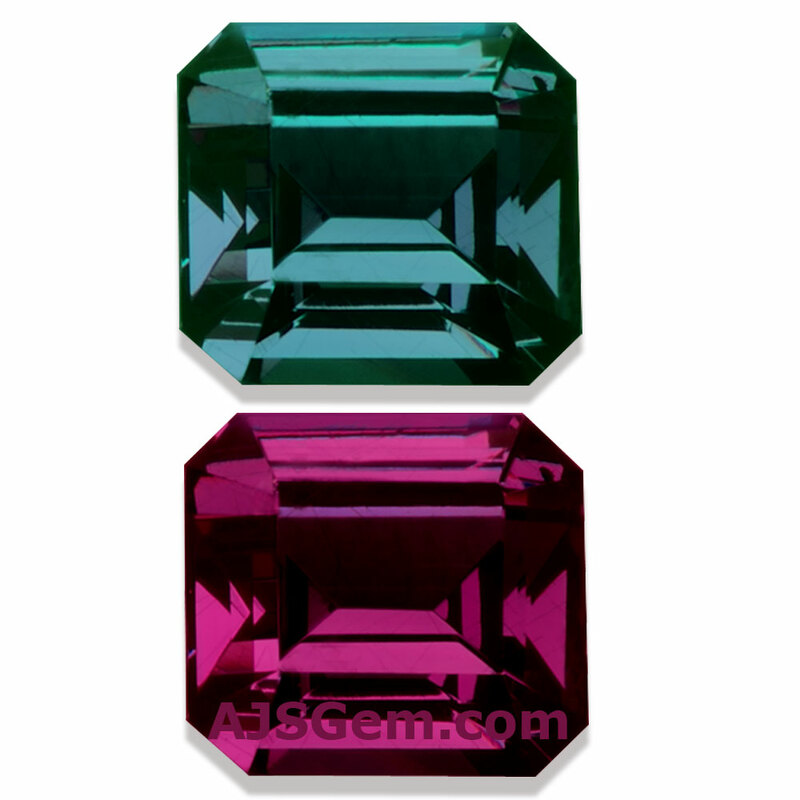 Color change garnets have also been found in east Africa (Tanzania and Kenya) and Sri Lanka. But the Madagascar deposit has attracted special attention for the unique blue stones and the strong color change. In addition, while most color change garnets are found only in smaller sizes (under 2 carats), the Bekily deposit has produced a number of valuable larger stones. We recently acquired a parcel of high quality rough from the Bekily mine and we have cut a number of fine gems from it, including several pieces over 3 carats. But the largest stone from this parcel yielded an extaordinary 10.31 ct square cushion with a distinct color change from bluish-violet to reddish-purple.